Posted on March 28, 2014 by Mike Sonnenberg Posted in Grain Elevators	. 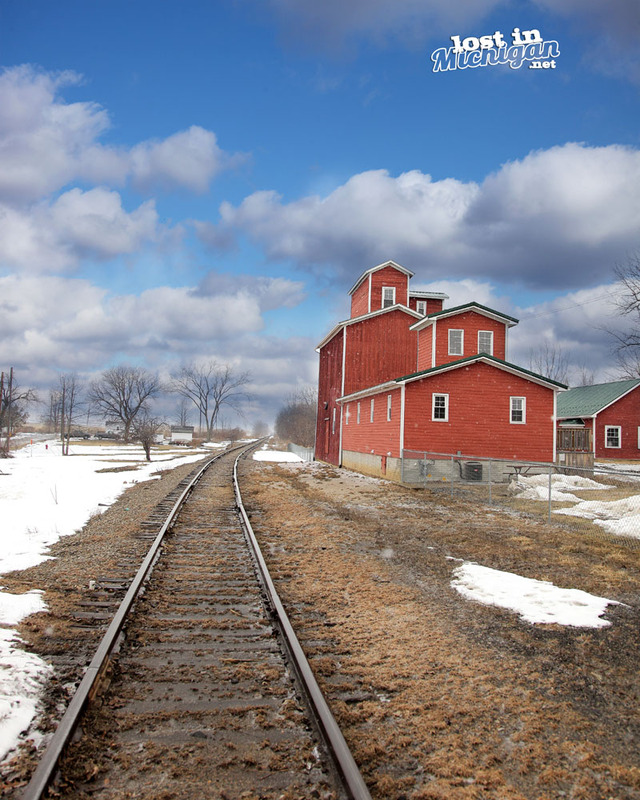 It’s hard to miss this beautiful red grain elevator in the small town of Clifford in the middle of Michigan’s Thumb. I was doing a little research on it. I did not find much, but I found this pic of what it used to look like HERE. Amazing what a little hard work and some paint will do. I hope I can get back there when the weather is better and the grass is green. Tags: clifford, elevator, grain, Grain Elevator	.